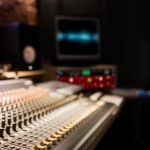 Since its founding in 2004 by composers David Reid and Derek Bermel, SoundReid has excelled as a boutique music composition, sound design and post production company. Working internationally from facilities in Los Angeles and New York, David and Derek’s musical partnership combines vast and diverse experience with a collaborative approach to feature film and documentary projects, drawing from a musical palette that spans classical, jazz, rock, punk, indie, electronica, and Latin music. Feature film credits include scores for the 2012 Academy Award shortlisted “Battle for Brooklyn”, as well as critically acclaimed films “Torn”, “The Suffering of Sudan” (2004 Peabody Award Winner), “Stoked: The Rise and Fall of Gator”, “Who Took Johnny”, “Rockaway” and “That Which Once Was”. David is a singer/songwriter and multi-instrumentalist with years of touring and studio experience whose credits include playing with: Joe Henry, Elliot Goldenthal, Glenn Branca, Page Hamilton and Joe Pernice among others. Derek is a prolific and widely recognized composer and clarinetist who has worked with the world’s leading orchestras and ensembles, including the Los Angeles Philharmonic, BBC Symphony Orchestra, and Jazz at Lincoln Center. Copyright © 2019 · SoundReid, LLC.